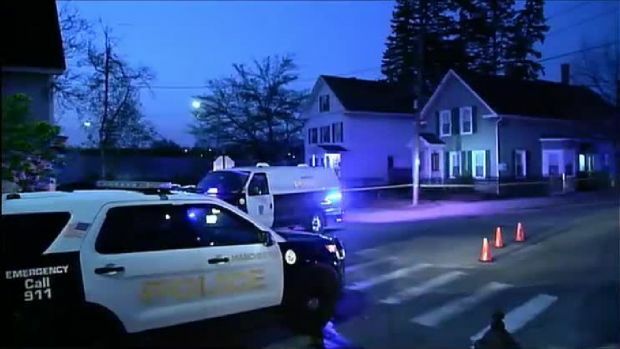 A man accused of shooting two New Hampshire police officers who were chasing him because he matched the description of a suspect in a gas station armed robbery will be held without bail. Ian MacPherson, 32, was scheduled to make his first court appearance on Monday in Manchester. He requested to waive his court appearance and did not appear in court. His attorneys entered a not guilty plea on his behalf. Police said MacPherson shot Officer Ryan Hardy, 27, and Officer Matthew O'Connor, 28, minutes apart as they pursued him early Friday. O'Connor was treated for a gunshot wound to the leg and was released from a hospital later Friday. Hardy was treated for gunshot wounds to the face and torso and was released from a Boston hospital on Saturday. MacPherson, who was arrested after a three-hour pursuit, wasn't injured. 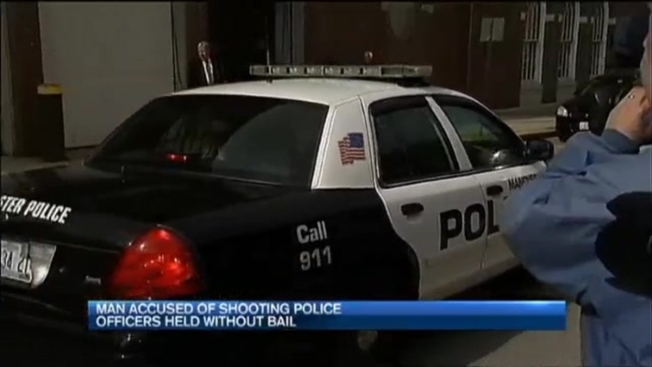 He's being held without bail on two counts of attempted capital murder. Flags at all public buildings in the state were lowered to half-staff on Sunday. "We are grateful that Manchester's two officers will recover, and we are reminded that whenever one of our law enforcement officials makes the ultimate sacrifice in the line of duty, it cuts through the very fabric of our society," Gov. Maggie Hassan said in an order directing that flags be lowered in honor of National Peace Officers Memorial Day. Police said Hardy stopped MacPherson because he matched the description of an armed robbery suspect. MacPherson began shooting at Hardy as soon as the officer announced himself, police said. About 20 minutes later, MacPherson encountered O'Connor and shot him, police said. MacPherson will be back in court for a dangerousness hearing on May 27.